Honour Our Veterans Banners Take Flight! Let the bells ring out and the banners fly! After seeing this program in Ontario, I pitched the idea of honouring our local veterans by putting their photographs on individual banners. 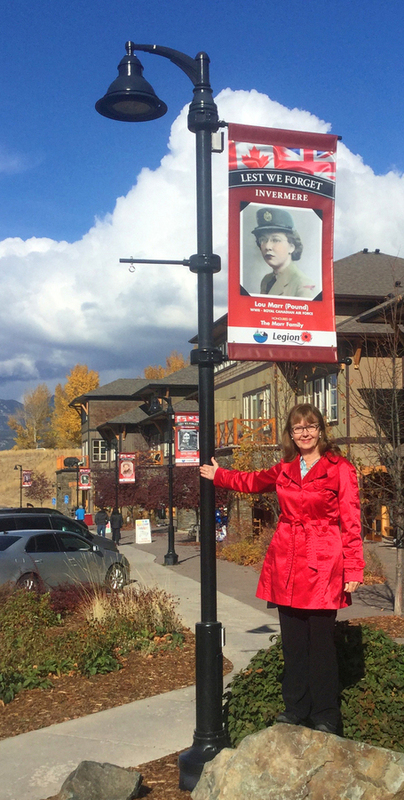 It meant months of hard work by my partner Sandi Jones and me, but the banners are now hanging downtown in our dear little town of Invermere, British Columbia. Read on to see how it was done!